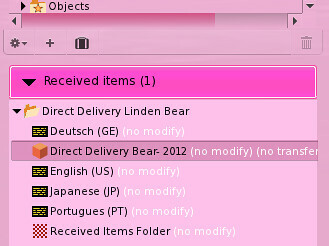 The Direct Delivery Linden Bear is so cute! It’s FREE on Marketplace! I purchased this bear yesterday to activate the Received Items folder and also changed all of my shops to Direct Delivery now. If you purchase Juicy or cheLLe products, you should look for them in the new Received Items folder, instead of Objects. Read more about the launch of Direct Delivery here. Cute post and good for you at getting this done early. Looking forward to more vendors getting switched over. I, too, got the bear, but It kind of scares me. 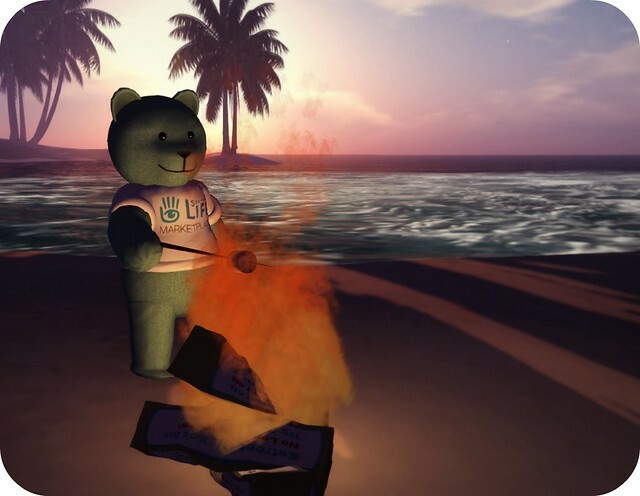 They should have called it “crazy pyro linden bear” or something like that. Hi! Your Girl is amazing! what is this? is it a program? i have never seen something so beautiful in my whole life! she is perfect!!! How do you make her? can i dress her too? can i change her make up also? how? please reply to me… this is very exciting!